The Betsie Valley District Library procedures in signing up for a library card and renewal procedure of checked-out materials. Juveniles aged 17 and younger are able to sign up for their own Library card with a parent and/or guardian's signature. 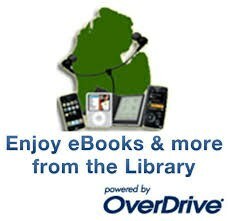 All residents of Benzie or Manistee Counties may also access the Up North Digital Collection with their Library card number. If an item is Lost or Damaged enough that it cannot be repaired and returned to circulation, the Borrower will be charged the cost of the item. 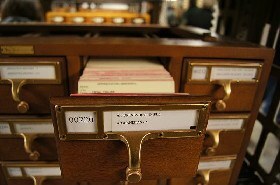 All are welcome to browse the Library's collection and use the computers! We ask that all patrons please read and follow the Betsie Valley District Library's Internet Policy. The policy is available at the circulation counter. Children aged seventeen and under must have an Internet permission slip signed by a parent or guardian to access the Internet through the Library's computers. The Betsie Valley District Library has filters for the Library's computers in compliance with the Children's Internet Protection Act for children and teens aged seventeen and younger.